Start your Analytics journey! Set up Einstein Analytics, turn on features, and bring data in. Lay the foundation for effective analysis. Learn how to explore your data and turn your killer insights into powerful dashboards. Get up and running fast with best practice, out-of-the-box app templates for sales, service, marketing, and more. Setup Einstein AI to get answers to critical questions like What Happened? Why did it happen? What will happen? And, most importantly, What can I do about it? 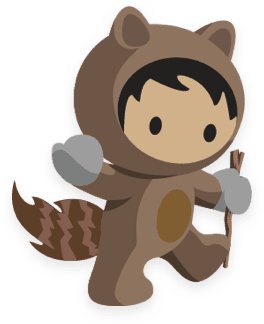 Extend your Einstein Analytics experience by embedding dashboards across Salesforce or developing and packaging your own custom apps on the Einstein Analytics platform. Learn the basics about your dashboards, personalize your experience, and take action on those insights. Make sure insights are wherever you need them to be with the ability to share and go mobile. That’s not all, folks! Scroll down for more learning goodness!